We set up the Puppy Helpline to provide a puppy training hotline for puppy owners to call when they need help, training advice and support to make the first weeks of bringing puppy into your home a successful experience. So many people are soon at their wits end and get confused by all the conflicting information available on-line or in books. Our clients want to speak to a real person who is a puppy training expert to help them through some of the difficulties that will undoubtedly occur when a new puppy arrives in their home. We have been providing high quality puppy training, help and advice for the past 30 years in owners homes and are offering this service on the telephone. The most common problem that people call us for help with is toilet training, closely followed by sleeping arrangements to keep puppy quiet at night. Another problem that puppy owners often find difficult is biting or mouthing behaviours, especially when children are getting hurt by the puppy’s sharp needle teeth. 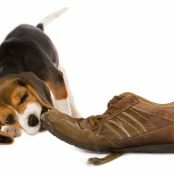 Stealing and destructive chewing are not uncommon in young puppies and learning how to successfully discourage these behaviours is very important to building a good relationship with your new puppy. Attention seeking is also very common and learning how to give puppy appropriate positive attention is very important training that every family and puppy needs. Many puppy owners use the telephone helpline to discuss their puppy’s behaviour with an expert to feel reassured they are doing the right thing and helping them if they are doing things wrong. 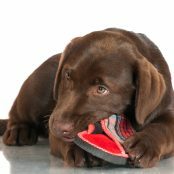 You call the Puppy Training Helpline UK on this number 0208 449 7539 and we arrange a mutually convenient time for one of our experienced puppy trainers to call you back when you have time to discuss the problem. We take a payment, click the Session time you require and it will bring you to a Paypal page where you can pay by debit card or credit card or by PayPal. When your payment is confirmed we call you back at the agreed time to discuss the problem. On booking we will send you a short questionnaire which you should return before the start of the first telephone advice session as this will help the call progress more efficiently. You can use any session to discuss a single or multiple problems. If booked in advance the telephone advice sessions can follow on after each other but will continue up to 60 minutes in any one call. Towards the end of the purchased session the puppy trainer will remind the caller that the session will end shortly and ask the caller if they wish to arrange and purchase further sessions. What we can’t help you with. We are not veterinary surgeons and therefore we are unable to offer you any advice if your puppy is ill or poorly. Contact your own vet if you are worried about your puppy being unwell. All vets will offer an out of hours service. We can’t advise you on severe behaviour problems with older dogs on the telephone but we may be able to advise you on a 121 basis with a referral from your veterinary surgeon or recommend a behaviourist in your area.